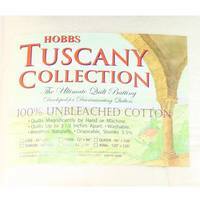 Hobb's Heirloom Premium Batting is made from 80% dyed cotton and 20% fine polyester. Perfect for both machine and hand quilting, this lightly needle punched batting resists bearding and migrating. 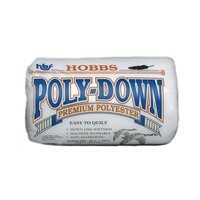 The light resin bonding provides extra strength and durability to your quilts. Prewashing is not recommended. 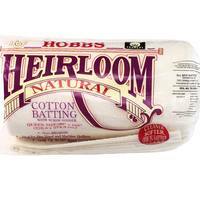 Shrinkage of 3-5% is standard, leaving your quilt with an antique puckered appearance. 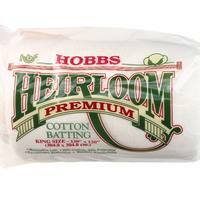 Ideal for use with dark fabrics, Hobb's Heirloom Premium can be quilted up to 4" apart. 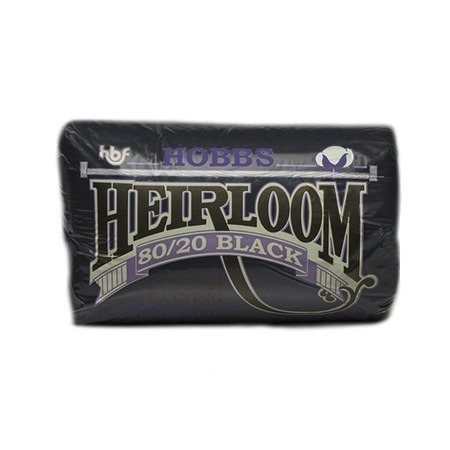 The color black naturally absorbs more heat; making quilts warmer and perfect for the winter. Manufactured and distributed in the USA. Available in Queen Size (90x108in) and King Size (120x120in).